We’re heading all the way north for our latest size? 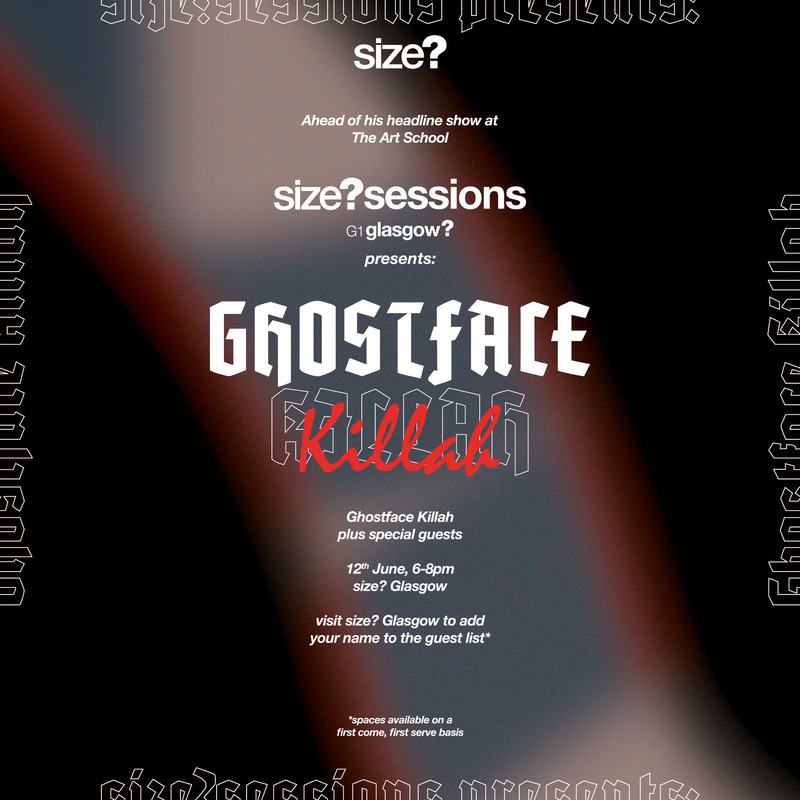 session instalment as the one and only Ghostface Killah takes to the stage in size? Glasgow. Tony Starks, Ironman, Pretty Toney, whatever name you know him by, Ghostface is one of the most instantly recognisable voices within Hip-Hop today. With a back-catalogue stretching back to the early ’90s, his role within Wu-Tang caused a seismic shift within hip-hop as the collective’s energy and lyrical tropes paved the way for other groups of Emcee’s going forward. What followed his Wu-Tang introduction was a slew of esteemed solo albums which would demonstrate his craft and astute versatility. From his iconic first solo LP, Ironman, to the critically acclaimed 2006 Fishscale, all the way to the more recent collaborative album with jazz-trio BADBADNOTGOOD, Ghostface consistently dabbles between alter egos, genres and collaborations for a varied result each time. Ghostface’s importance within Hip-Hop has been indisputable for the past two decades. The New Yorker has inspired a myriad of artists with his decorated releases, his vibrant story-telling and his inimitable delivery. Now 48, Ghostface Killah is the most decorated member of the Wu-Tang Clan and his vibrant online personality and contemporary releases make him just as relevant in the modern day. Entry on the door is guestlist only, head to the size? Glasgow store or check out our size? Glasgow Instagram for more information.